The advertisements in the articles feature products that are relevant to the subject matter in articles so that cannabis scientists can find new ways to improve their business. Including lab equipment, etc. Packed is a dedicated cannabis packaging company. We are a collaborative of creative fueled, industry wizened, professionals with a fanatical dedication to supplying amazing packaging in a competitive way. With in house design and global manufacturing partners, we can design and manufacture packaging for any product, in any material, anywhere. Since 2009 Cannaline has provided both stock and custom packaging solutions to all segments of the cannabis industry. Let our team of experts help you make the perfect package to promote your brand and maximize your sales. Established in 1987, Overnight Labels, Inc. is an award-winning full service label and flexible packaging printing company. But, we’re not just about labels! We also manufacture shrink sleeves, flexible films for bags, pouches, stick packs and more. With 10 flexographic presses and 2 digital presses we have the capabilities to work with any size company and offer low minimums and low set-up costs, competitive pricing, and as our name implies…quick turn-arounds! 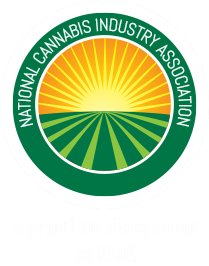 Prairie State Group (PSG) provides custom printed flexible packaging and pressure sensitive labels for the cannabis industry. From bar wrappers and stick packs to stand-up pouches and vial labels, PSG can print both short-runs and scalable quantities. Ask for a free sample kit today! True Liberty® Bags are ‘The ORIGINAL All-Purpose Home and Garden Bag’; Our industrial strength bags are made to resist bursting and puncturing. Used by all kinds of families and farmers, from the household hobbyist to the commercial level grower, there is a bag size available to meet their needs. Curing, storing, keeping harvested crops fresher for longer, decarboxylation, and also preventing unwanted odors or cross-contamination, our bags bring liberating solutions! The Duallok brand is committed to providing the most beautiful, user friendly and compliant packages for high-end controlled substances. The CR3 design, developed by our award winning design team, is our first product to be launched and is the product of two years of research, testing and development. Contact info@duallok.com to request your sample. Air Vapor is Northern California’s largest distributor of essential oil vaporizers and ancillary products. Build your brand at our one-stop shop with the latest Pod Systems, Organic Terpenes, Filling Machines, and Child-Resistant Packaging in the Vape Industry.